The Exynos variant of the Samsung Galaxy S8, which is the international variant sold in most markets, has already had root and a custom recovery available for it for months now. While the Snapdragon variant sold in select markets hasn’t been really lucky in that department. But finally, thanks to an amazing XDA dev jesec, at least the Chinese/HK variants of the Samsung Galaxy S8 can now enjoy the benefits of rooting. Unfortunately, the U.S. Snapdragon variants of the device have to still wait. But if you’re sporting one of the more powerful Galaxy S8 variants with 6 gigs of RAM, here’s how you can install TWRP and root it. Make sure you also have the Samsung USB Drivers installed on your PC. If you have Smart Switch for PC already installed on your PC, you don’t need to install anymore drivers. Enable USB Debugging on your phone. The Chinese/HK variant of the Galaxy S8 does not have an OEM Unlock option so you don’t have to worry about that. The process described below will wipe your entire data including the internal storage, so make sure you back up everything. As always, rooting and installing a custom recovery on a device are not covered under warranty and you also run the risk of bricking your device. DroidViews does not take any responsibility in any such scenario so proceed at your own risk. Since the variants we’re interested in here do not have an OEM Unlock option as already mentioned, you’ll only need to disable the reactivation lock. That is in case you have signed in with a Samsung account on the device and enabled it. To do that, simply go to Settings > Cloud and Accounts > Accounts and select your Samsung account. Open the menu and remove the account. This makes sure that reactivation lock is disabled. Run the tool and it should unlock your Galaxy S8. Download a TWRP recovery image from the links in the download section according to your device in .tar format. Now reboot your Galaxy S8 into download mode. Hold the Volume Down + Bixby + Power keys for approximately 15 seconds until your phone shows you a warning. Press Volume Up here to enter download mode. 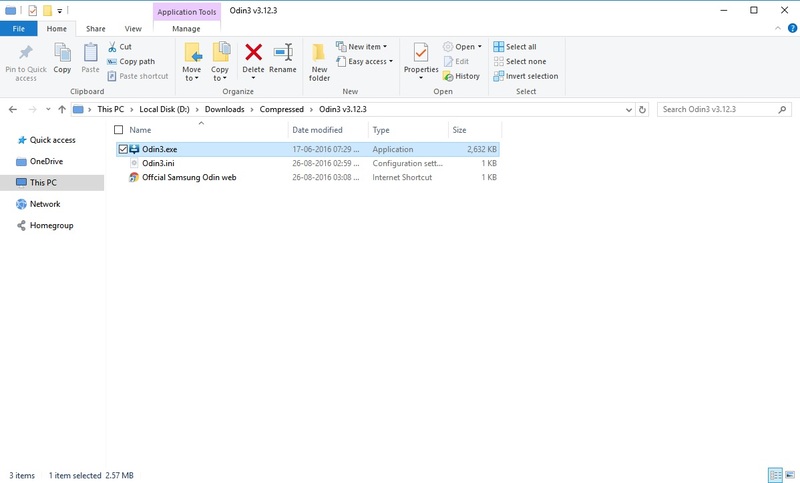 Launch Odin3.exe on your PC and connect your phone to the PC with a USB cable. If you’ve installed all the necessary drivers, you should see the ID:COM port in ODIN turn blue. Click on the AP button in ODIN and select the TWRP file in .tar format that you’ve previously downloaded. Make sure you uncheck Auto-reboot under the Options tab in ODIN. Now click on Start and ODIN will flash the TWRP recovery to your phone. When the process is complete, disconnect your phone but do not reboot it yet. Now press and hold the Volume Up + Bixby + Power keys together to boot your phone into recovery mode. If you’ve followed everything up to here, your device should now be in TWRP recovery. In the recovery, select Wipe > Format Data and then type Yes to continue. Go to the Reboot menu and select Recovery to reboot your phone into recovery once again. Now download and transfer the dm-verity and force encryption disabler zip and transfer it to your phone via a USB cable. Now select Install in the TWRP menu and select the dm-verity and force encryption disabler zip. Swipe and flash the zip. At this point, you can now reboot to system and use your phone like you normally would without rooting. Samsung implemented some additional security layers on the Galaxy S8 so rooting it might not be possible on the stock kernel or even a modified stock kernel. Therefore if you want to root your device, you will need a custom kernel with security features disabled. Luckily, jesec has one of those too. Download the Semi-stock kernel and Magisk flashable zips from the downloads section above. Transfer the zip files to your phone over an MTP connection. Now select Install in the TWRP menu and select the kernel first. Tap on Add more zips and select Magisk. Swipe to start the flashing process. When completed, tap Reboot system and your now rooted device should reboot. When your phone comes back up, download and install the Magisk Manager apk from the downloads section and you should be good to go. Previous articleSamsung Galaxy S8 Active leaks in its full glory.